The importance of link building as it pertains to search marketing and SEO cannot be understated. Your external link inventory remains one of the key factors as to how the engines rank your pages in their index. Think about the World Wide Web in its simplest form. The Web is a series of links to and from various websites. It make sense that sites that have the best quality (but not necessarily the highest number of links) from industry related sites should be treated as more authoritative. Link Building Myth #1: He Who Has the Most Links Wins - Just because you have a large number of links to your site doesn't mean that you are the most relevant source on a particular piece of subject matter. Especially in the eyes of the search engines. Link Building Myth #2: Link Exchanges are Good - in this case link exchange refers to web rings and sites that "link to you if you link to me". There is no longterm value here from an SEO point of view as the search engines perceive this as a tactic to manipulate them for the sake of inflating your rankings. Link Building Myth #3: It's Ok to Buy Links - well this is true to a point. However if you are talking about purchasing a mass amount of links then you are going to run into some problems. According to Google and Yahoo, paid links are a "no-no". To clarify, sites that buy link, more specifically paid links that pass PageRank will be penalized. Matt Cutts was firm on this topic at SES San Jose in August. He basically stated that Google will have a zero tolerence rule when it comes to paid links. So what are the available link building strategies that site owners and online marketers can utilize in this day and age of link building? Building Link Inventory Through Content (a.k.a. Link Baiting) - By far the most effective and possibly the easiest way to build your external link inventory is through the creation of new content. Creating content that is informative, useful and most importantly unique is the best way to generate links to your site, blog or web properties. The search engines are big fans of building your link inventory naturally. The easiest way to do this is by creating new content that you are an authority on. Request Links from Key Industry Sites - this is what we call "old school link building", where you request links from key industry sites. The search engines are beginning to focus more on site wide themes as opposed to individual page or keyword themes. Seeking links from quality sites that are related to your business helps improve the overall quality score of your link inventory. Submit Your Site to Related Industry Directories - seek links from related categories in industry directories including the Yahoo Directory and the Open Directory (DMOZ). Participate In Social Communities - leverage your presence in online communities such as Facebook, MySpace, YouTube and other online communities. Of course there are other creative ways to build your link inventory, (but like a veteran magician we can't share all of our secrets...) The fact of the matter is, the best way to obtain links is through content. In our experience, the best way to build your link inventory is through content. Content is king for more reasons than one. Creating content that others find useful will result in not only links to your site, but will result in traffic to your site as well. Build you link inventory naturally through content. Blogs are a great way to generate links. To be a trusted authority, you should always be updating your content anyway. Why not do it in a manner that will act as a tool for gathering links? 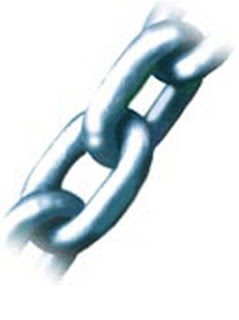 Link building in 2007 and beyond will be through content and generation of unique elements that you add to your website and online properties such as widgets and content within your widgets that others will want to link to. When you think of link building, think of content development.